A journey into the wilderness far from the confines of the modern world requires the right tools. 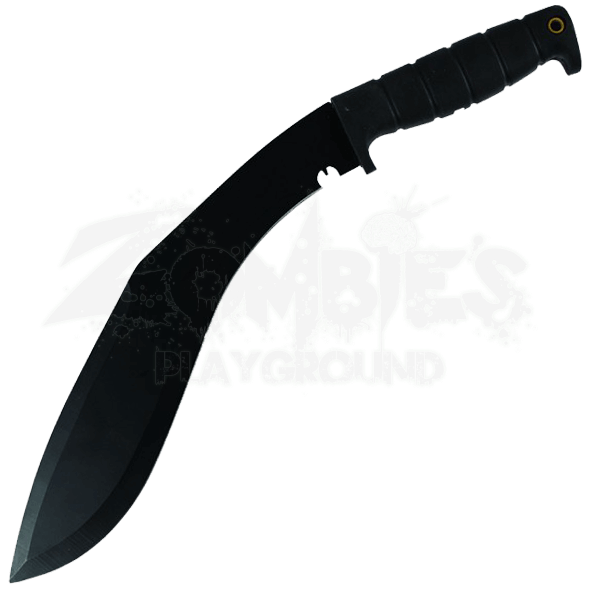 Designed with a blade style that has withstood the test of time, the Black Tactical Kukri Machete is a must-have for your survival gear. 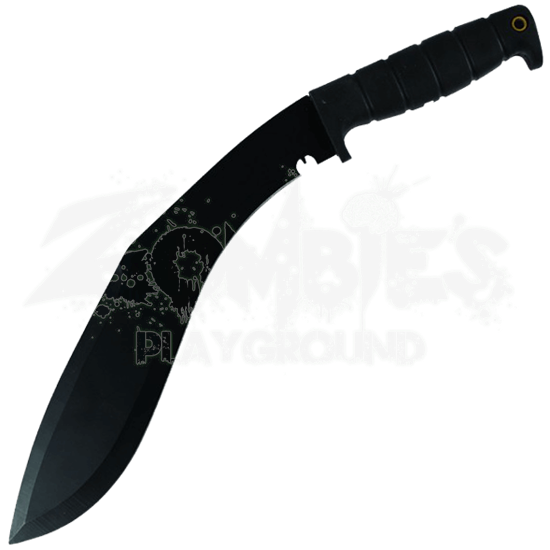 For centuries, the kukri has proven helpful for both combat and utility. Crafted from stainless steel, the curved blade possesses a black finish. A ribbed grip supports a strong, steady hold. A nylon sheath is included for convenient carry and storage.